This is NOT John Taylor who was instrumental in having the drone registration regulations vacated in the Taylor v. Huerta case. This is Robert Taylor who is John Taylor’s brother. Just to mention, I’m NOT involved in this case. This is a class action lawsuit (of at least 836,796 members) against the FAA. The lawsuit is seeking $5 back for the class ($4,183,980), Privacy Act violation statutory damages of $1,000 EACH for the members of the class ($ 836,796,000). In sum, we’re looking at almost 841 million PLUS attorneys fees. Interested in more drone lawsuits? 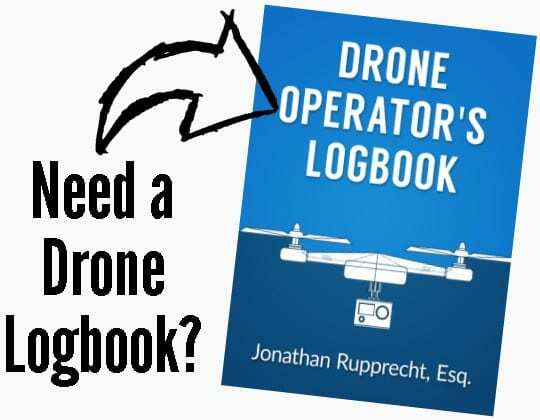 Check out my Drone Lawsuits and Litigation Database. In 2012, the FAA Modernization and Reform Act of 2012 was passed which provided a Section 336 that protected a certain group of model aircraft from regulation from the FAA. The FAA in 2015 created the Part 48 registration regulations which governed this protected class of model aircraft. John Taylor filed suit in the D.C. Circuit Court of Appeals. That court ruled that the FAA violated Section 336 and that the Part 48 registration regulations as applied to model aircraft were illegal. During this period AFTER the registration regulations were declared illegal, the FAA did not delete the database of registered names or refund the money. The FAA instead created a difficult process, using paper and requiring more sensitive data, to facilitate deregistration and refunds. This process was not well publicized until I posted about it. John Taylor then filed another lawsuit in the Federal District Court of Maryland for Robert Taylor seeking injunctive relief based on, among others things, the Privacy Act. The FAA argued that Taylor could not get injunctive relief under the Privacy Act and that Taylor could not seek remedies for others – only himself. John Taylor dismissed the Maryland case and the class action suit was filed in Washington, D.C. by a D.C. law firm. In December 2017, the National Defense Authorization Act of 2017 was passed which overturned the Taylor v. Huerta ruling putting the registration regulations back into effect. This lawsuit was filed on January 5, 2018. If you are in need of help with filing Part 107 waivers, please contact me. I have helped over 70 clients obtain waiver approvals. 1. 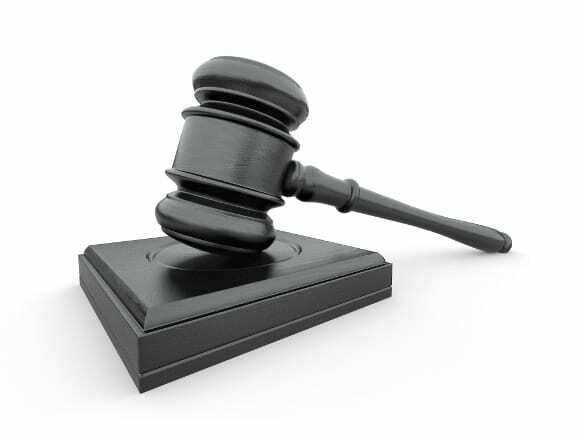 Plaintiff is a natural person and a citizen of the United States, residing in the state of Maryland. 2. Defendant FAA is part of the United States Department of Transportation and is located at 800 Independence Avenue SW, Washington D.C. 20591. Defendant Huerta serves as the Administrator of the FAA. 3. This Court has jurisdiction over this matter because it involves federal questions pursuant to 28 U.S.C. § 1331. This is also a civil action arising under the United States Constitution. Furthermore, this Court has subject matter jurisdiction over this action under 28 U.S.C. § 1332. Plaintiff brings this Complaint on behalf of a nationwide class, and at least one Class member is a citizen of a state different from Defendants. The Class consists of at least 836,796 Class members and the matter in controversy exceeds $5,000,000. 4. Venue is proper in this Court under 28 U.S.C. § 1391 because the FAA and Huerta are located in the District of Columbia, and the FAA regularly conducts business in this District. Moreover, a substantial part of the events asserted in this Complaint occurred and continues to occur in this District. Venue is also proper pursuant to 5 U.S.C.A. § 552a(g)(5). 5. In 2012, Congress passed the FAA Modernization and Reform Act of 2012, 126 Stat. 11. The Act provided that the FAA could not “promulgate any rule or regulation regarding model aircraft” that meet certain criteria described in the Act. Pub. L. 112-95, § 336(a). 7. On December 16, 2015, despite Congress’s explicit prohibition against rulemaking involving Model Aircraft, the FAA promulgated the Registration and Marking Requirements for Small Unmanned Aircraft (the “Registration Rule”). The Registration Rule required that beginning December 21, 2015, owners of Model Aircraft operated for hobby or recreational purposes must register with the FAA. 80 Fed. Reg. 78593. 8. As part of the registration under the Registration Rule, owners of Model Aircraft were required to provide the FAA with personal information including their names, email addresses, and home addresses. They also had to pay a $5.00 registration fee. Model Aircraft Owners who did not register were subject to three years in prison and fines of up to $250,000. 80 Fed. Reg. 78593, 78630. 10. Plaintiff is a Model Aircraft hobbyist who owns multiple Model Aircraft and uses them for hobby or recreational purposes. 11. Following the effective date of the Registration Rule, Plaintiff registered his Model Aircraft with the FAA, provided the required personal information, and paid the $5.00 registration fee. 12. No less than 836,796 owners of Model Aircraft registered their Model Aircraft for hobby or recreational purposes from December 21, 2015 through November 14, 2017. http://dronecenter.bard.edu/drone-registrations. Circuit (“D.C. Circuit”) vacated the Registration Rule “to the extent that it applies to Model Aircraft,” because the Registration Rule was among those actions specifically prohibited by § 336(a). Taylor v. Huerta, 856 F.3d 1089, 1090, 1094 (D.C. Cir. 2017). “The FAA’s 2015 Registration Rule, which applies to model aircraft, directly violates that clear statutory prohibition.” Id. at 1090. Thus, the registrations that were based upon the promulgation of the invalid and vacated Registration Rule, had no lawful existence. 16. Though it did not voluntarily delete the now clearly-unlawful registry, the FAA ultimately did create a form whereby registrants could seek to delete their registrations and receive a refund. However, the FAA did not distribute the form to registrants through their email or physical addresses on file with the FAA, or take other reasonable steps to make registrants aware of the process. Further, the form, without lawful justification, required registrants to make certifications as to how they “always” operate their Model Aircraft, and to provide personal banking information. The form is no longer available on the FAA website. 17. On December 12, 2017, President Donald Trump signed the National Defense Authorization Act. Section 1092(d) of the National Defense Authorization Act states that “The rules adopted by the Administrator of the Federal Aviation Administration in the matter of registration and marking requirements for small unmanned aircraft (FAA-2015-7396; published on December 16, 2015) that were vacated by the United States Court of Appeals for the District of Columbia Circuit in Taylor v. Huerta (No. 15-1495; decided on May 19, 2017) shall be restored to effect on the date of enactment of this Act.” Plaintiff and the Class do not concede that the National Defense Authorization Act is valid. The National Defense Authorization Act, by its terms, is not retroactive. Therefore, any personal information and registration fees collected from owners of Model Aircraft pursuant to the Registration Rule between December 21, 2015 and December 11, 2017, was, and remains, unlawful. 19. The FAA’s actions were willful or intentional. Section 336(a) clearly prohibited the promulgation of the Registration Rule. As the court noted, “[s]tatutory interpretation does not get much simpler.” Taylor, 856 F.3d at 1092. The FAA knew, or should have known, that its actions were unlawful, but proceeded to act in willful and flagrant violation of the rights of hundreds of thousands of Model Aircraft hobbyists. The FAA’s actions were so patently egregious and unlawful that anyone undertaking the conduct should have known it to be unlawful. The FAA’s actions were committed without grounds for believing them to be lawful, and in flagrant disregard of the rights of those whom it unlawfully registered. Nor did the FAA relent when the Registration Rule was challenged in court. Lastly, despite an order of the Court of Appeals vacating the Regulation Rule to the extent that it applied to Model Aircraft, the FAA did not refund their $5.00 registration fees and continued not only to maintain, but to build upon its unlawful registry, knowing it to be illegal. In addition, the FAA’s unlawful, and uncirculated, “deregistration” process further reveals the intentional and willful nature of the FAA’s efforts to maintain its unlawful registry. All owners of Model Aircraft who registered with the FAA for hobby or recreational purposes from December 21, 2015 through December 11, 2017. 21. The Class is so numerous that joinder of all individual plaintiffs would be impracticable. Plaintiff avers that the class consists of at least 836,796 Class members, the number of individuals who registered Model Aircraft for hobby or recreational purposes as of November 14, 2017. The precise number of Class members is known by the FAA and can be ascertained through its own records. and in doing so, the FAA unlawfully collected and maintained personal information about Class members and unlawfully collected the same registration fees. 23. Plaintiff’s claims are typical of the claims of the Class, in that they arise from the same operative facts and course of conduct, are based on the same legal theories, and based upon the FAA’s violation of § 336(a) of the Modernization and Reform Act of 2012. In violating § 336(a), the FAA unlawfully registered Class members, and in doing so, the FAA unlawfully collected and maintained personal information about Class members and unlawfully collected the Class members’ registration fees. 26. Class certification is also appropriate under Rule 23(b)(2) given that the FAA acted or refused to act on grounds that apply generally to the class, so that final injunctive relief or corresponding declaratory relief is appropriate with respect to the Class as a whole. Despite a clear ruling by the D.C. Circuit Court that the FAA violated § 336(a) of the Modernization and Reform Act of 2012, the FAA continued to collect and did not return registration fees, and did not delete the unlawfully collected personal information. 27. Furthermore, this action should be maintained as a class action because the prosecution of separate actions by individual members of the Class would create a risk of inconsistent or varying adjudications with respect to individual members which would establish incompatible standards of conduct for the parties opposing the Class, as well as a risk of adjudications with respect to individual members which would as a practical matter be dispositive of the interests of other members not parties to the adjudications or substantially impair or impended their ability to protect their interests. 28. Plaintiff and the Class incorporate by reference the allegations contained in Paragraphs 1-27 of the Complaint as if fully set forth herein. 29. The Privacy Act mandates that agencies that maintain a “system of records” must “maintain in its records only such information about an individual as is relevant and necessary to accomplish a purpose of the agency required to be accomplished by statute or by executive order of the President.” 5 U.S.C.A. § 552a(e)(1). 31. The FAA is an agency that must comply with 5 U.S.C.A. § 552a(e)(1) in its maintenance of records. 33. The D.C. Circuit ruled that the FAA lacked statutory authority to promulgate the Registration Rule and thus vacated the Registration Rule. Taylor v. Huerta, 856 F.3d 1089, 1093-94 (D.C. Cir. 2017). As such, the FAA lacked authority to collect registration fees from Plaintiff and the Class and to collect from and maintain their personal information. 34. Thus, the maintenance of a “system of records” for Plaintiff and the Class from December 21, 2015 to December 11, 2017 was not only not relevant or necessary, but it was unlawful. Accordingly, the FAA violated 5 U.S.C.A. § 552a(e)(1) by promulgating the Registration Rule and maintaining a registry of Model Aircraft owners from December 21, 2015 to December 11, 2017 that was not relevant or necessary to accomplish a purpose required to be accomplished by statute or by executive order of the President. 36. Plaintiff and the Class can bring and maintain an action for civil remedies against Defendants under 5 U.S.C.A. § 552a(g)(1)(D) for the FAA’s failure to comply with 5 U.S.C.A. § 552a(e)(1). 37. Plaintiff and the Class experienced adverse effects due to the FAA’s violation of 5 U.S.C.A. § 552a(e)(1), including actual damages. The damages suffered by Plaintiff and other Class members included pecuniary harm. The FAA charged Plaintiff and the Class a $5.00 fee to collect and unlawfully maintain information about Plaintiff and other Class members in the FAA’s system of records. In addition, the FAA deprived Plaintiff and other Class members of use of those funds. 38. Plaintiff and the Class do not need to exhaust their administrative remedies before bringing this claim under 5 U.S.C.A. § 552a(g)(1)(D). 39. The FAA acted willfully and intentionally within the meaning of 5 U.S.C.A. § 552a(g)(4) because it knew or should have known that it lacked the statutory authority for promulgating the Registration Rule, but it did so anyway. Further, once the D.C. Circuit vacated the Registration Rule, the FAA did not delete the personal information of Plaintiff and the Class members and did not refund their registration fees. In addition, the FAA continued the registration process even after the D.C. Circuit held that the FAA was prohibited from doing so. 40. Plaintiff and the Class members are each entitled to statutory damages in a sum of no less than $1,000 plus attorneys’ fees and costs. 5 U.S.C.A. § 552a(g)(4). 41. 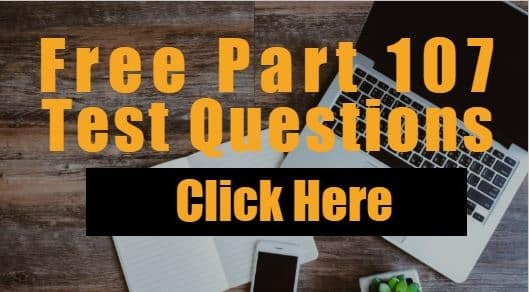 Plaintiff and the Class incorporate by reference the allegations contained in Paragraphs 1-40 of the Complaint as if fully set forth herein. 42. The Little Tucker Act waives sovereign immunity for Plaintiff and the Class to bring this cause of action and this lawsuit against the federal government. 43. Plaintiff and the Class do not need to exhaust their administrative remedies before bringing this claim and lawsuit under the Little Tucker Act. 45. Plaintiff and the Class bring this claim under the Little Tucker Act for the Defendants’ illegal exaction of $5.00 registration fees and personal information from at least 836,7960 owners of Model Aircraft between December 21, 2015 and December 11, 2017, despite the lack of statutory authority to do so given the D.C. Circuit’s decision in Taylor v. Huerta. 46. As set forth above, Plaintiff and the Class have suffered damages and are each entitled to damages of not more than $10,000 each under 28 U.S.C. § 1346(a)(2). 47. Plaintiff and the Class incorporate by reference the allegations contained in Paragraphs 1-46 of the Complaint as if fully set forth herein. 48. Defendants have a duty to Plaintiff and the Class to act in a manner consistent with their constitutional rights and to not deprive them of those rights. 49. Plaintiff and the Class have a right to be free from acts and omissions of Defendants that deprive Plaintiff and the Class of rights protected by the Constitution of the United States, including privacy rights guaranteed by the Constitution. 50. Plaintiff and the Class have a right to the protections afforded to them through the process of judicial review under Article 3 of the Constitution of the United States, which declared the FAA’s Registration Rule unlawful. 51. Plaintiff and the Class have a right not to be subject to the requirements of the Registration Rule from December 21, 2015 to December 11, 2017, which was declared unlawful by a court of competent jurisdiction. 52. Plaintiff and the Class have a right to be free from civil and criminal penalties for their failure to comply with a regulation that has been declared unlawful by a court of competent jurisdiction. 53. The Defendants violated Plaintiff and the Class’s Constitutional and privacy rights by unlawfully promulgating the Registration Rule and enforcing the Registration Rule without any statutory authority to do so. Further, once the D.C. Circuit vacated the Registration Rule, the Defendants did not delete the private and personal information of Model Aircraft owners and did not refund their registration fees. In addition, the Defendants unlawfully continued the registration process and unlawfully maintained Plaintiff and the Class’s private and personal information even after the D.C. Circuit held that the Defendants were prohibited from doing so. 54. Plaintiff and the Class have exhausted any administrative remedies. 55. As a result of the Defendants’ violation of Plaintiff and the Class’s Constitutional and privacy rights, Plaintiff and the Class have suffered damages. 56. Plaintiff and the Class incorporate by reference the allegations contained in Paragraphs 1-55 of the Complaint as if fully set forth herein. 57. Plaintiff and the Class conferred a benefit to the Defendants through providing them their personal information and over $4,183,980 in ill-gotten registration fees. 58. The Defendants knowingly accepted and retained the benefit as they unlawfully maintained a registry of Plaintiff and the Class’s personal information and collected over $4,183,980 in registration fees in violation of the law. 59. Given the D.C. Circuit’s decision which declared that the Registration Rule was unlawful, it would be unjust for the Defendants to retain the personal information of over 836,796 owners of Model Aircraft and over $4,183,980 in registration fees. 60. The Defendants should not be permitted to maintain the personal information and registration fees of Plaintiff and owners of Model Aircraft from December 21, 2015 until December 11, 2017 because the Defendants unlawfully and unjustly received them as a result of its unlawful actions described herein. 61. As set forth above, the Defendants have waived sovereign immunity for this lawsuit. 62. Notwithstanding statutory damages for other claims, Plaintiff and the Class also seek restitution in an additional amount of no less than $4,183,980 for the Defendants’ unjust enrichment, as well as interest and attorneys’ fees and costs. 63. Plaintiff and the Class incorporate by reference the allegations contained in Paragraphs 1-62 of the Complaint as if fully set forth herein. 64. There exists an actual controversy between Plaintiff and the Class, and the Defendants. 65. Pursuant to 28 U.S.C. § 2201, this Court may declare the rights and other legal relations of any interested parties seeking a declaration. Any such declaration shall have the force and effect of a final judgment. hobby or recreational purposes during the period of December 21, 2015 to December 11, 2017 were unlawful. 67. Thus, the collection and maintenance of personal information about Plaintiff and Class members and the collection of their registration fees from December 21, 2015 to December 11, 2017 was unlawful. 68. The Defendants violated Plaintiff and the Class’s Constitutional and privacy rights by unlawfully promulgating the Registration Rule and enforcing the Registration Rule from December 21, 2015 to December 11, 2017. 69. The FAA violated the Privacy Act, 5 U.S.C.A. §552a(e)(1) by maintaining a registry of owners of Model Aircraft from December 21, 2015 to December 11, 2017 that was not relevant or necessary to accomplish a purpose required to be accomplished by statute or by executive order of the President. Further, it was unlawful. As such, Plaintiff and the Class are each entitled to statutory damages from the FAA in a sum of no less than $1,000 plus attorneys’ fees and costs. Moreover, Plaintiff and the Class are also entitled to restitution damages from the Defendants in the amount of no less than $4,183,980 for the FAA’s unjust enrichment of registration fees. Plaintiff and the Class request a trial by jury on all issues so triable. N. Granting all further and other relief as the Court deems just and appropriate.